Preheat oven to 300 degrees F. Place 6 ramekins in a baking dish. Fill the baking dish with hot water, until it comes halfway up the sides of the ramekins. Heat cream, chocolate and sugar, in a large saucepan, over medium heat, whisking frequently, until chocolate is melted. Whisk yolks and vanilla together in a medium mixing bowl until combined. Gradually whisk hot cream into eggs, until combined. Divide mixture into ramekins. Bake for 50-55 minutes or until custard barely wobbles. Remove from oven, remove ramekins from water and cool five minutes. Preheat oven broiler. Sprinkle tops of custards evenly with graham cracker crumbs, followed by mini marshmallows. Broil custards a few seconds until marshmallows brown. Cool for 30 minutes before placing in the refrigerator until chilled completely - about 1-2 hours. 37 comments on "S'mores Crème Brûlée"
Nice to see you had a Merry Christmas! Did you make the sausage ball and if so where can I get the recipe? Happy New Year!! Oh forgot to mention we're having friends over New Years Eve and guess what they are all requesting for dinner?? It's your Pumpernickel Pastrami Panini with Rosemary-Ale jus!! I've made that 15-20 times as it is always a big hit when friends come over. 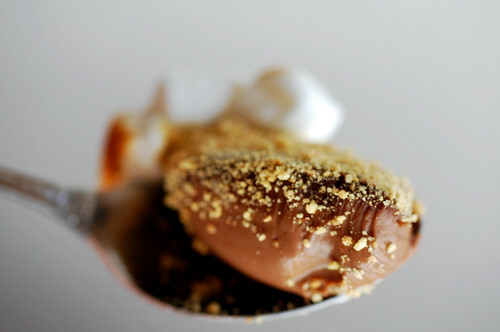 What is it about s'mores flavored desserts? I've never seen anything graham-cracker-chocolate-marshmallow related that didn't come out wonderfully. Looks like your Christmas was a blast. It's always great to get new kitchen toys (I got a new food mill and and new saute pan myself). oh i love you so much!! What day is it? What time is it? 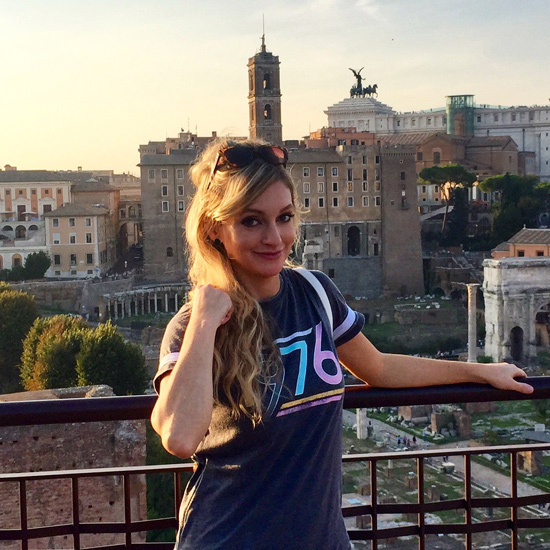 Where am I and how did I get here? Why do I have Reese's peanut butter cup smeared on my hoodie? Yes yes yes. This creme brulee looks delicious and I got my first torch last week! Score! Glad you had a great Christmas, looks like you have a fun family! A very fine boyfriend indeed. Looking forward to seeing how the photography changes, although it has always been great. I love to drool over your desserts...sorry wipe that picture from your mind. Such a lovely Christmas post! Ooh, light reflector kit, that's a GOOD one! Wishing you a dazzling New Year Emily! What a great holiday you had! Sounds fantastic. I love those punching bag things. They're good for anyone! Great recipe too and, boy, are you up early! Such nice pictures Emily! You all look like you had so much fun....the s'mores creme brulee looks great too! OOO, I love s'mores. I bet this would be yummy! 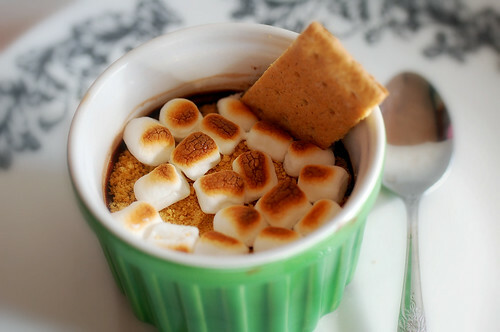 Amazing pictures, and I love Smores anything! You are so gorgeous! Light reflector kit for xmas = great present! How exciting Eric bought you a light reflector kit, but really Emily, could your photos possibly get any better? I brag about your photos to people all the time. They're absolutely stunning! I think this year I haven't even noticed it, Christmas I mean... Yours does sound like fun, especially the sausage ball part. Of course your sister's apron was the highlight for me. Love the bruléé! Oh I can't wait to see the pictures with the new toy you got ;)! Looks great, what a great Christmas! Sounds awesome!! What a great holiday dessert. I absolutely love s'mores, cant go wrong! You look so gorgeous too in all those pics! Have a great night! Ooh, that smores brulee does look good and I've never really liked plain creme brulee. Chocolate must be the key! And the mallows and graham don't hurt either! Fun Christmas recap! We were totally snowed in for days with the blizzard we had here! i LOVE your hair..its so awesome! you are beautiful! And I don't even know what a reflector camera thing is... but I'm sure your pics will rock even better with it. I also wanted to let you know that I made your pie crust this year for the traditional Pecan Pie... (First time I ever deviated from my Grandma's pie crust recipe.) It was AWESOME! I totally agree with your first paragraph! It is absoutely crazy that 2009 is almost over...eeek! Glad that you had a great Christmas. 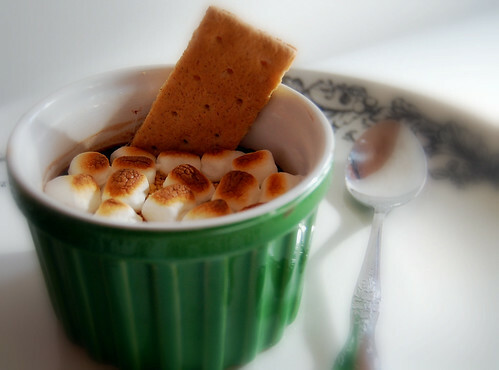 The S'mores Creme Brulee sounds fabulous and it is going to go on my "to try in 2010" list. What a wonderful cristmas you had! I must make this bruleé soon, do you have to let it cool for 1-2 hours? I don't think I can wait! Sounds like you had a fun Christmas! Hope you have a great New Year's celebration too. This dessert looks awesome! WOW...it sounds and looks delicious! I love smores-flavored desserts! I never imagined it as a creme brulee, but I guess it was inevitable, because, you know, mini-marshmallows look so cute when they're brule-ed! Curt, no I did not make the sausage balls. Aunt Pattie did, so I don't know her secret recipe. Wow! I'm flattered that everyone likes the sandwich! Thank you so much! Morethanlettuce, thank you! Wow! That's really nice. Though it's not true. Aw, Heather. Thanks. Maybe it is a Missouri thing! Ktbwood, thank you! You're very sweet. Sheila, I'm glad you liked the crust recipe. Glad you had a wonderful Christmas!! What a creative creme brulee - it sounds fabulous! Brillant! This sounds right up my alley as s'mores is a favorite. Merry Belated Christmas and Happy 2010! how do you come up with these things girl? amazing, and delicious :) maybe the better question is how do you stay so thin! no matter, keep up with these awesome treats, and glad you had a fabulous xmas!! This is such a cute idea! Caramelized marshmallows on top is so much better than sugar shards! Happy New Year! ps: I've adored those Mexican aprons since I was a little girl - my grandmother in Mexico has them in like every single color imaginable! I made this for my school project and it was sooooo goood!! I recommended to all my friends.